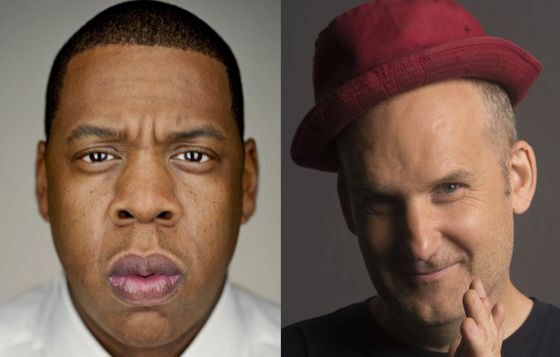 When you really think about it, Jay Z and Ian MacKaye aren't all that different. Both are considered kingpins of their genres, both have a strange relationship with retirement, and both have impacted the music industry through the likes of Tidal and Dischord respectively. On one fateful recording session over a decade ago, the two properly crossed paths as Jay Z sampled Fugazi. While recording his farewell release The Black Album, Jay Z enlisted producer (and mutual friend of Hova and MacKaye) Rick Rubin to produce some tracks. Those sessions resulted in the rapper's universal mega hit "99 Problems," but there was a slightly stranger track that has yet to surface in full. Sometimes known as "Pop Pop the Burner" and other times called "Troubles on My Mind," Jay spit bars on an instrumental that heavily sampled Fugazi's End Hits standout "Closed Captioned." In issue 33 of FADER, Ian MacKaye confirmed that he cleared the song to be sampled on the record. Unfortunately, the song never saw the light of day in full, and remains one of Jay Z's most sought-after B-sides. While we may never get to hear it in full, we can see footage of Jay laying it down in the studio with Rubin. Watch Jay Z rap over Fugazi at the beginning of the video below.